The Jewish matrimonial ceremony is one of the most unique in the world. It is a set of special traditions that has been passed down for millennia that ties two people together into the Jewish faith. Yet in 2018, the ceremony can feel outdated in some respects. 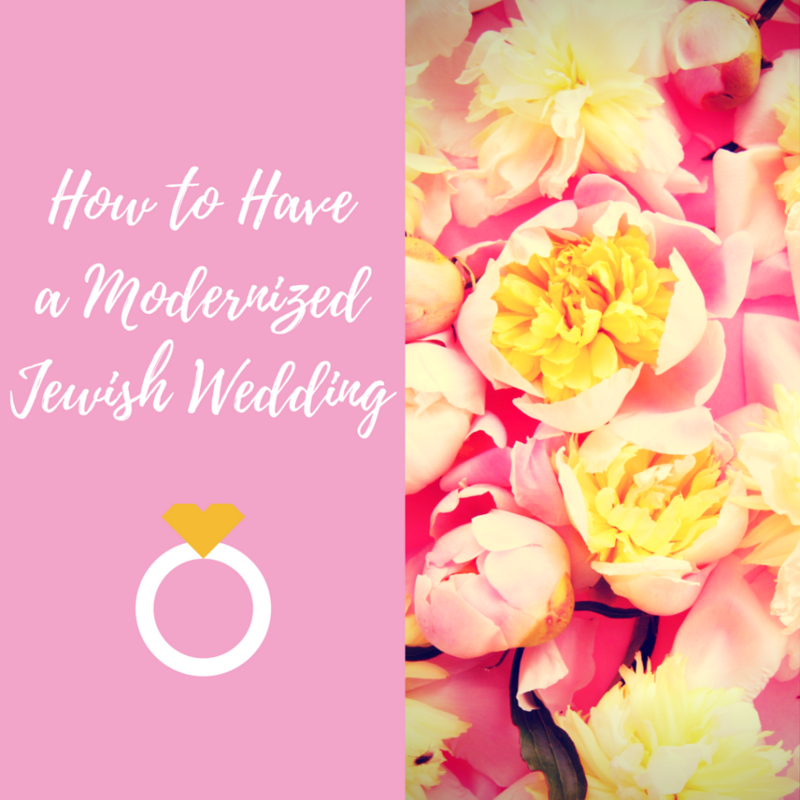 It is possible to have a modernized Jewish wedding that still touches upon the traditions of old yet adds a sense of the current. Design the chuppah as you see fit. The chuppah, as many know, is the portable canopy under which the bride and groom consummate their marriage, in the Jewish tradition. However, many do not know that there is actually not prescribed model for the chuppah. In other words: you can design it as you see fit, with different colors, fabrics, or patterns that speak more to your personality as a couple so don’t be afraid to get creative! Get two rings, not just one. In older Jewish wedding ceremonies, the groom would present the bride with a wedding ring, while reciting the marriage formula in Hebrew. However, in recent years, it’s become increasingly accepted for the bride to also present the groom with a ring in order to make the platform a more equal one for all. Break the glass as a couple. Going beyond just the rings, couples can create a more modernized, egalitarian wedding ceremony by both committing another crucial act of Jewish ceremonies together: the breaking of the glass. This is the “mazal tov” moment that is so important to every Jewish wedding. So instead of just letting the groom alone breaking the glass, consider breaking it as a couple and enter your future as a married couple together. There are several ways to honor the past and celebrate the future when it comes to Jewish weddings and interfaith weddings. If you have questions or concerns about creating a modernized Jewish wedding, contact Rabbi Richard Polirer.